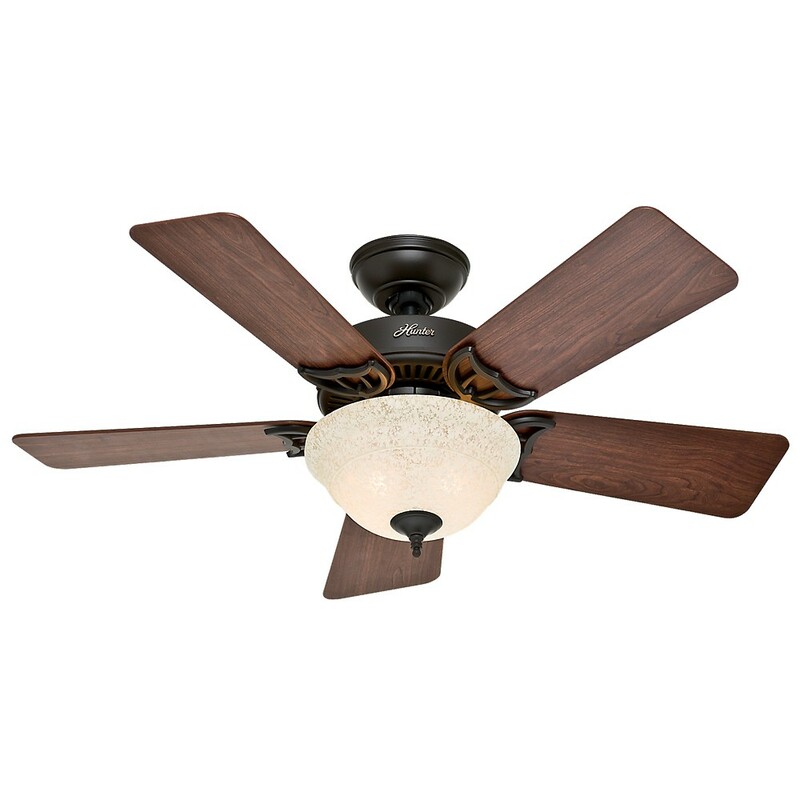 Traditional design fan for small rooms. Bowl light kit with amber scavo glass uses two 60W candelabra incandescent bulbs which are included. Light kit installation is optional.